Hello poets. Today is the day in Sweden when we officially welcome spring, in many places people light bonfires and choirs are giving a welcome to the spring. First of May is a holiday, so many take the possibility to celebrate a little extra. I might be a little absent as I will cheering to the spring a little. Today I will continue a little bit from my Pubtalk, where we discussed metaphors and how to come up with them. For my poetry metaphors are crucial, but it is always a challenge on how to be original, and a bad metaphor is worse than no metaphor at all. In the comments Marina Sofia mentioned a method that I intend us to play with today, and when searching on the internet I came upon the term Catachresis which will be the subject today before coming to the prompt. First a few words about metaphors. Every metaphor ever invented was once unique, and later used by others to the extent that they become cliche. A few metaphors might become idioms dying to become a part of ordinary language. Many times we do not even think about them as metaphors any longer. Take for example the body of a text, and I think few of us would think of the text consisting of flesh and bones (except as metaphors).There is a richness in old metaphors that is a goldmine, but if used directly there is a risk our poems become flat and uninteresting. Love can not be a rose or summer’s day for instance without making us think about Shakespeare or Burns. he uses the illogical connection between voice and eyes and between the hands and rain. 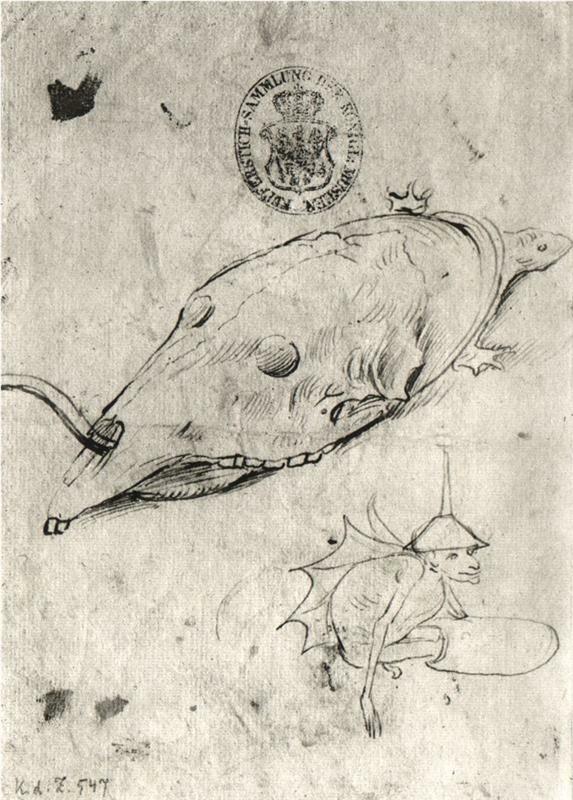 Or maybe a little bit in the same way Hieronymus Bosch creates his grotesque pictures. Where does for instance: “bang your head against the wrong tree” lead your thoughts? possibly because my feet are too weary to carry me far away from the laptop. I had a bookish day today at the Geneva Book Fair, but there was far too much standing and walking involved. It was fun when I saw your suggestion and googled it and found articles on it.. It was fun to play with (and I have also used the technique at work).. Celebrating the end of Napo? Enjoy your evening, Bjorn. Not really just that.. Just having fun and celebrating spring. I am very very impressed, Björn. Congratulations. at it was always unique. Oh, I love these examples! As a foreigner myself, I know how hard it is to get these sayings right. For a while I used to say ‘It’s very crowdy in here, isn’t it?’ and people thought I meant cloudy and had adopted a Japanese pronounciation, when all I meant was crowded. But – when learning a new language, I think embracing the living part of language is important too. Brother Bjorn, draw me up an ice cold diet Coke, please–and is that wonderful smell a bunch of warmed up Swedish meatballs; oh my. Love your prompt. I went into a frenzy of joyous writing for several hours, actually having to discard several stanzas before the poem became Homeric. As I mentioned on your site, the absurdist qualities of misspeak connected to Cathacresis remind me of both Flarf & Nonsense Verse, both forms of which delight me. It is so liberating to make up new words, to flay the language like a fiend gutting fish. I hope to garner many smiles along the dVerse trail today & tomorrow. This was a very fun prompt.. I will get by and read later.. friends are calling for desert. You did have a jaunty ride with it, Glenn – wonderful! Are you as keen on Alice in Wonderland and Behind the Looking-Glass as I am? Because it seems to be written in the same spirit (and a good deal of mathematical precision). Why thank you Marina for opening up the Pub; the international fellowship that brook all time zones is wonderful. Since you are, in part, responsible for the “fun” within the prompt, gratitude runs deep in your direction. Cathachresis is a lovely word. As happens only to often these days, I have linked an oldie for which your prompt could have been designed. I’ll have another go with a fresh one, but it is so rare that I succeed in using metaphor that I thought I’d better strike while the iron was hot (cliché alert). Ouch! TOO often. My fingers are faltering! Ha.. yes when I came across the word it was an opportunity I couldn’t miss..
What an interesting technique, Bjorn! Your prompt made me think, as well as play. Happy Spring to you in Sweden. Enjoy your celebration. We used to make much more ‘fuss’ about May Day when I was a child. I remember making May baskets, putting some little wild flowers in then, and hanging the baskets on neighbors’ doors. I hardly hear mention of May Day here at all now. Tomorrow is a holiday so it’s a good evening to spend with friends.. now I will go around a little before heading off to bed. Enjoy your free day and freedom! I am working tomorrow, first time in my life I think that I will work on May 1st. Hope you had a marvelous May Day, Bjorn; not much on FB today, or in the news; just another day for we May fools, I guess. I know the roots, Maypole & all, are pagan; but then so is Christmas, right? Firstly, congratulations on your thirty poems! And secondly – thanks for your excellent prompt. I did intend to ignore it as I like my words to have some sort on sense – but then became intrigued by the possibilities of it. Once you have started it’s hard to stop.. Just maybe there will be something new to use in our regular poetry. Amen, brother, for when fun splashes its way onto our poetics, our imaginations seem to pop into hyperdrive. Mine certainly did. Wasn’t too sure what you wanted but I had fun getting there. Thanks! I think getting inspired is the important thing. The cathachresis was interesting so gave that a go. Great prompt. It is a very interesting technique. I think I will return to this way of writing every once in a while. Forest Tinker, thanks for commenting on my poem. I cannot figure out how to comment on yours. Sorry. I had the same problem. It’s always a shock when there is no “comment” option on a poetry blog; probably good reasons I imagine, but hey….it shuts down the fellowship.